Single-hung windows look similar to a double-hung unit, but only the lower sash opens. 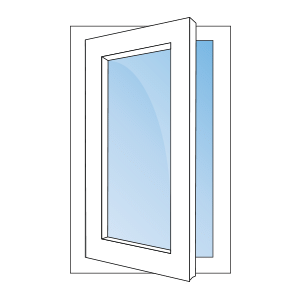 Some single-hung window designs allow you to tilt the sash inward to clean the exterior. 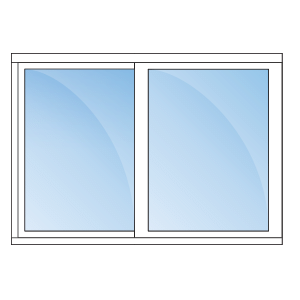 Slider windows are generally horizontal and slide open and close rather than require cranking. This makes them far easier to open than other styles and they also provide a nice clean look. 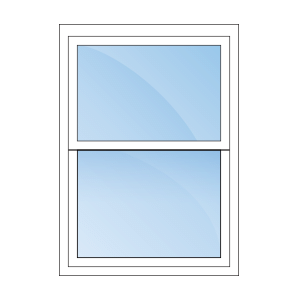 Awning windows have a hinged sash that tilts out from the bottom. 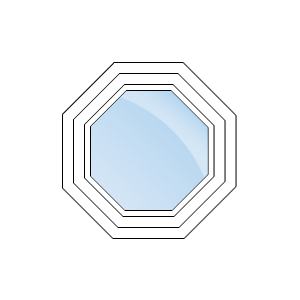 The unique design of an awning window helps keep rain out when the window is open. 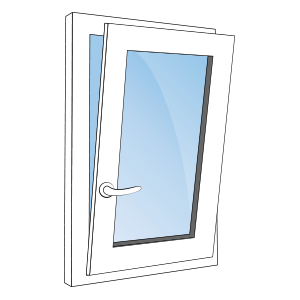 Casement windows are similar and are hinged on one end and pivot out for ventilation at the other end. They're easy to open and provide good air flow. All CVP windows are custom-made to order. Bay windows, bow windows, shaped windows, and custom colors are just the beginning. Let us create the perfect window shape or style for you. Contact us for more information. 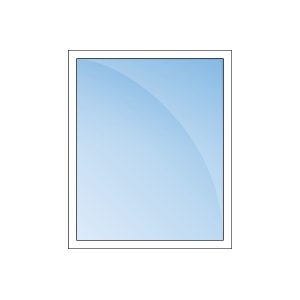 Architects, builders, and contractors choose our commercially-rated window profiles for low-rise and mid-rise multi-family dwellings, light commercial buildings, and single-family residential developments. Custom Vinyl Products LLC can help. During your free in-home consultation our experts will help you choose the window style and features that best fit your home's needs. Contact us today to request your free estimate in Poquoson, Yorktown, Newport News or nearby.